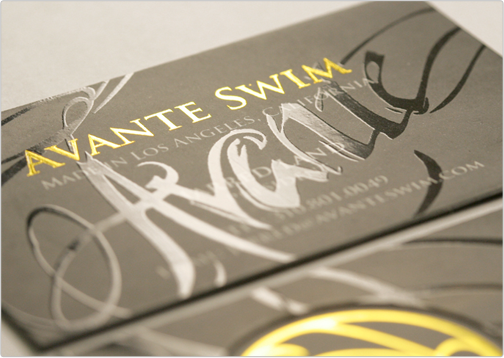 The Avante Swim business card design is one of our Layer Cards. 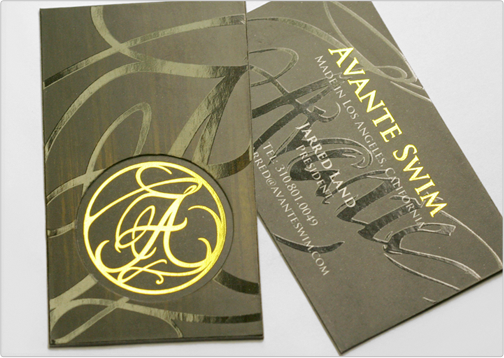 This modern design features two silk matte finish business cards glued together by adhesive. One of the cards has a punch out to create visibility to the card below. 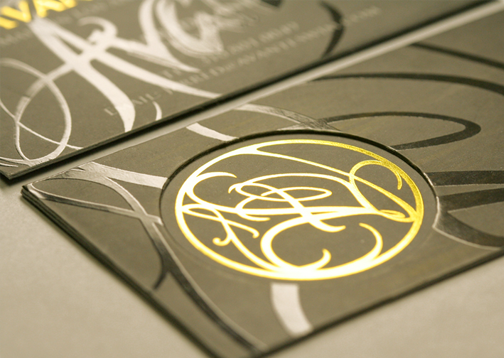 The design calls for spot gloss highlights and decorative gold foil.